NOTE: Meetings are usually held at St. Matthews Episcopal Church, 1101 Forest Ave., Richmond, VA 23229, beginning at 11 AM and going to about 1 PM, unless otherwise specified. Amy Shawley Paquette of Golden Paints will return to demonstrate mixed media techniques, working with acrylic, watercolor, and dry media. Amy’s visit to JRAL in 2016 was one of our most popular programs, and we look forward to seeing her again. 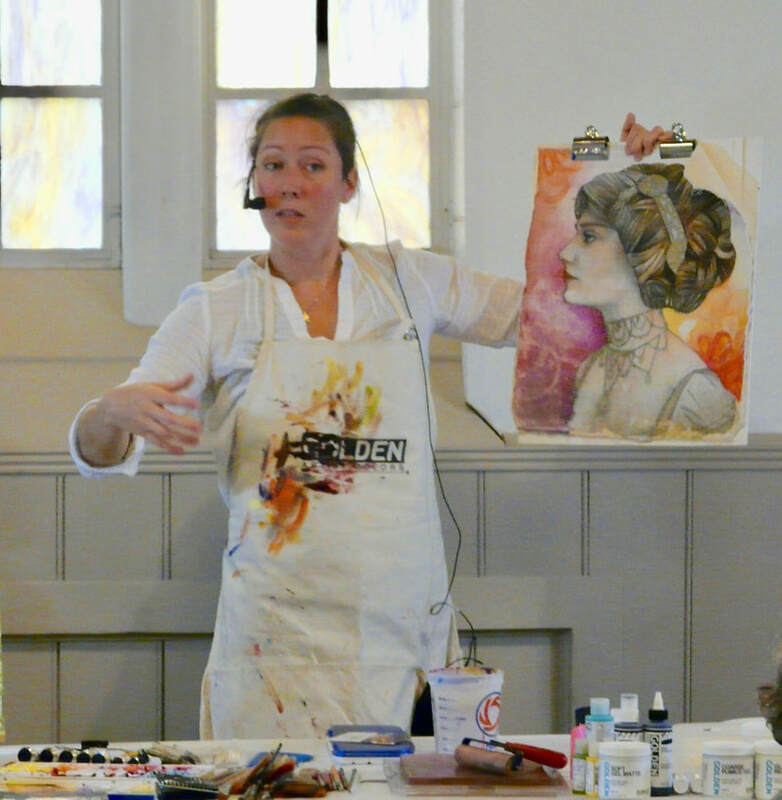 "Learn about the wide range of Golden acrylic paints and mediums, along with the new QoR Watercolors, and discover how they can enhance your Mixed Media projects. Get a good understanding of each product, their different attributes, and how to make the right choices in grounds and colors for the best intended application. 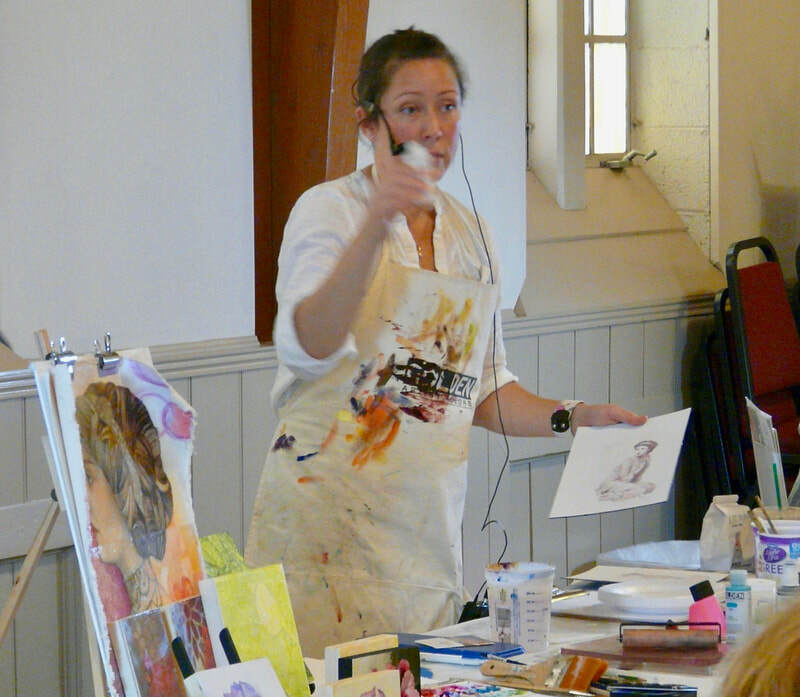 Learn what to put under paint, and how to layer, create washes, stains, and collage. 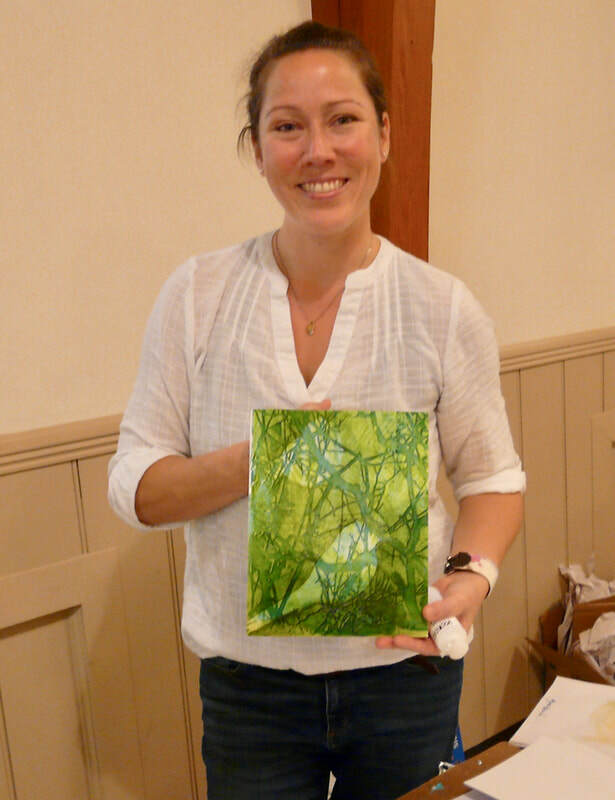 We will cover a variety of tools and techniques including the use of stencils, paint markers, dry media, image transfers, iridescent colors, and how to create encaustic-like effects. This is a great place for beginners and experienced artists alike to learn new techniques and be inspired by innovative applications." Amy is a Virginia-based visual artist whose paintings and illustrations are inspired by the natural world. Her work incorporates fauna, flora, landscapes, and textures she has encountered during her travels and daily adventures in the countryside. 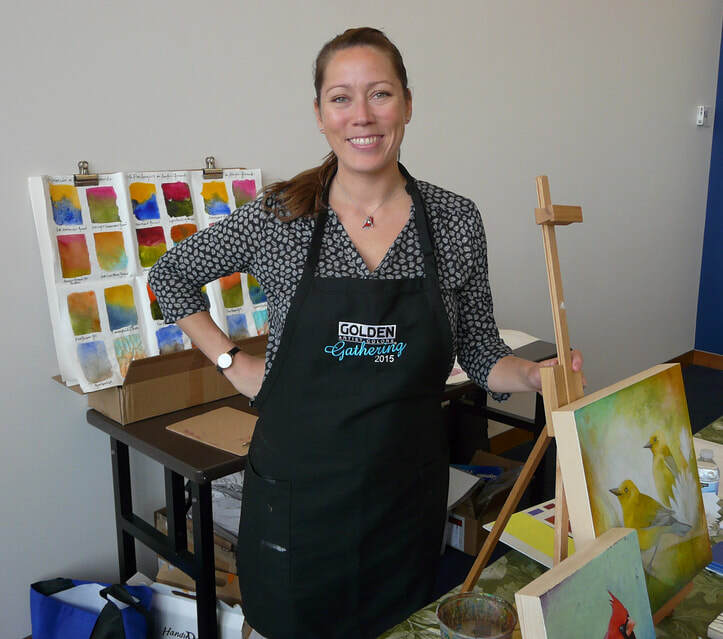 After earning her Art History degree, developing her love of paint, and exhibiting her work in New York and LA, Amy was selected and trained in 2008 by Golden Artist Colors for their Working Artist Program. She taught and lectured in southern California before relocating back east in 2014 to offer painting lectures in Virginia, Maryland, and Delaware. 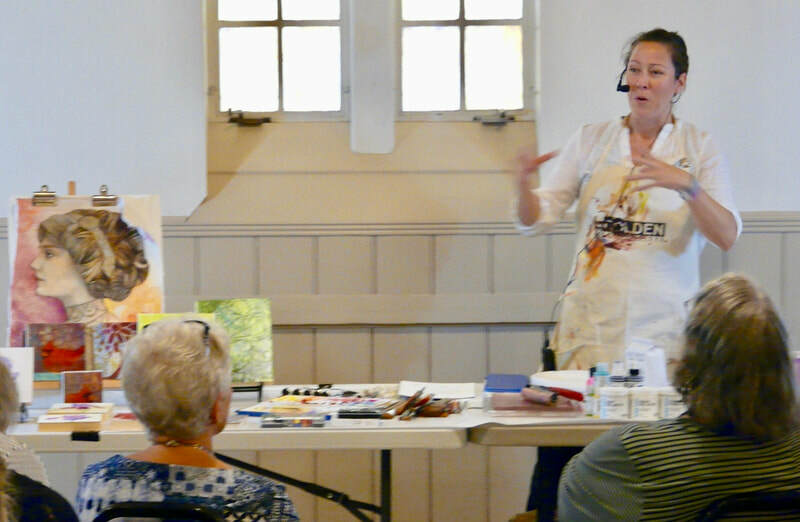 In addition to her work with Golden, Amy was selected and trained in 2016 to be an Artist Lecturer for Williamsburg Oils. Amy teaches art workshops nationally, offers online education, and published her first book Acrylic Texture Techniques: Rock, Metal & Wood in 2015. 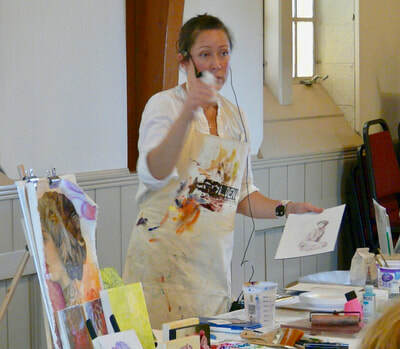 Her art, videos, and tutorials can be found at www.amyshawley.com. Members will meet at the VMFA lobby at 11:00 AM for a group self-guided tour of VMFA's annual exhibition "Fine Arts & Flowers". 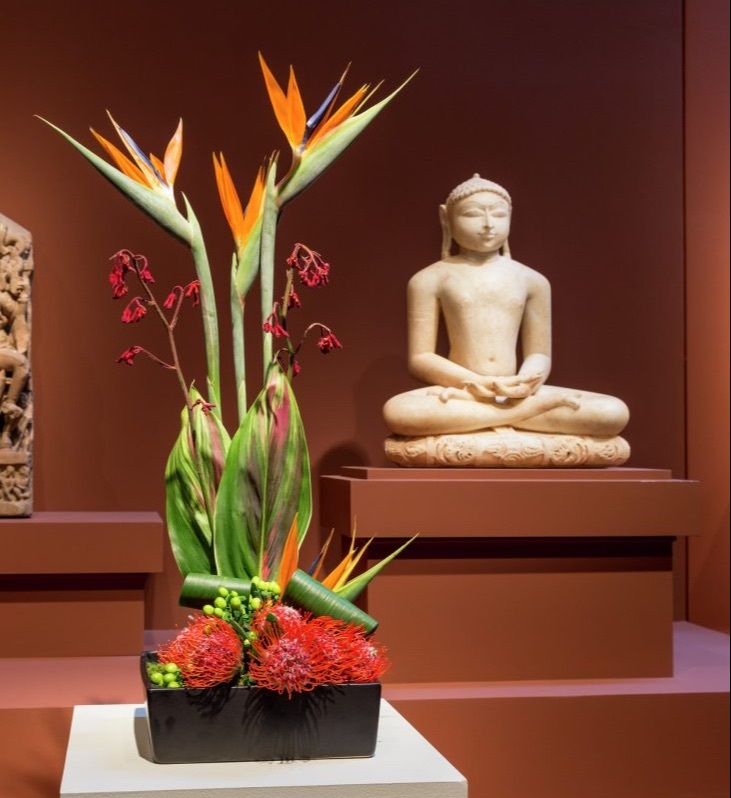 A spectacular museum-wide exhibition of floral designs inspired by works in the VMFA collection, it includes floral designs by the Garden Club of Virginia, Virginia Federation of Garden Clubs and Garden Clubs of Virginia. Admission to the exhibit is free. Members can lunch on their own at VMFA's Best Cafe or Amuse Restaurant. 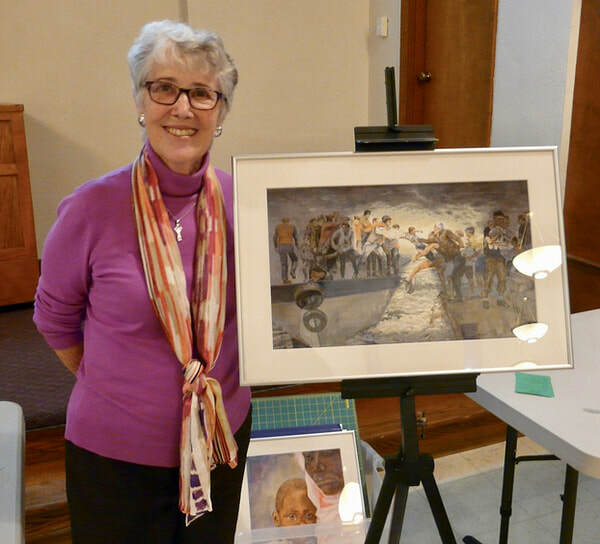 Connie de Bordenave: "Reaching Toward Hope and a Future"
JRAL member Connie de Bordenave will speak on using art to address humanitarian issues, using examples from her series “Reaching Toward Hope and a Future” and others. "Reaching Toward Hope and a Future"
Back by popular demand, JRAL will hold our third annual JRAL Holiday Craft Bazaar. 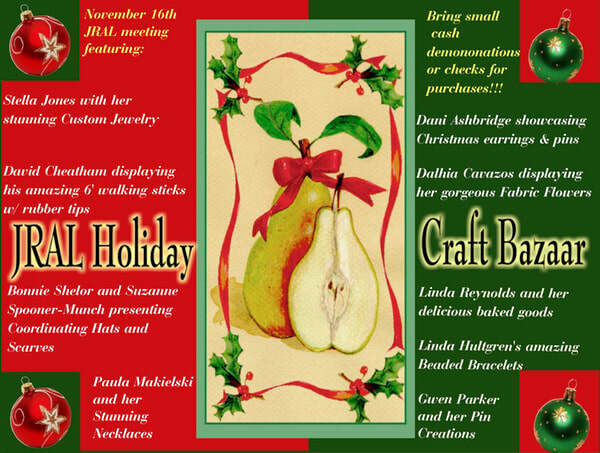 Our craft bazaar benefits both our talented member artists/crafters and our members looking for holiday gifts. If members would like to sell their crafts to members and guests at our November 16th meeting, reserve your table by emailing Gigi Vranian at vraniangigi@comcast.net, or by signing up at our September meeting. All proceeds are for member crafters to keep. Purchasers should bring cash or checks. Members and guests are invited to JRAL's annual Holiday Luncheon, to be held again at the Westwood Club on Friday, Dec. 14 at 12:00 pm. 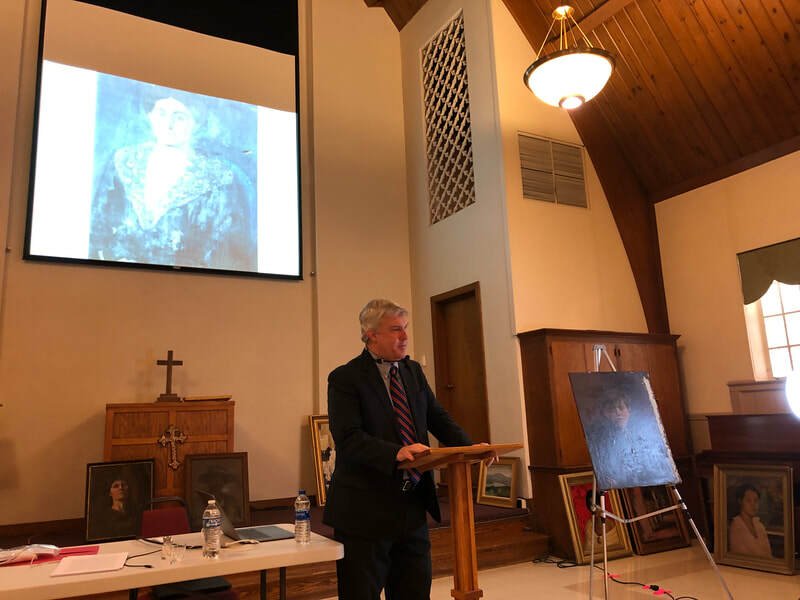 The Outreach Committee will speak briefly about the value of JRAL's involvement with George Wythe's art program and students. The cost of $33 includes tax and gratuity, and the menu will include two entrees, soup, salad, sides and desserts. Members can signup at our Nov. 16th meeting, or contact Gigi Vranian at vraniangigi@comcast.net. 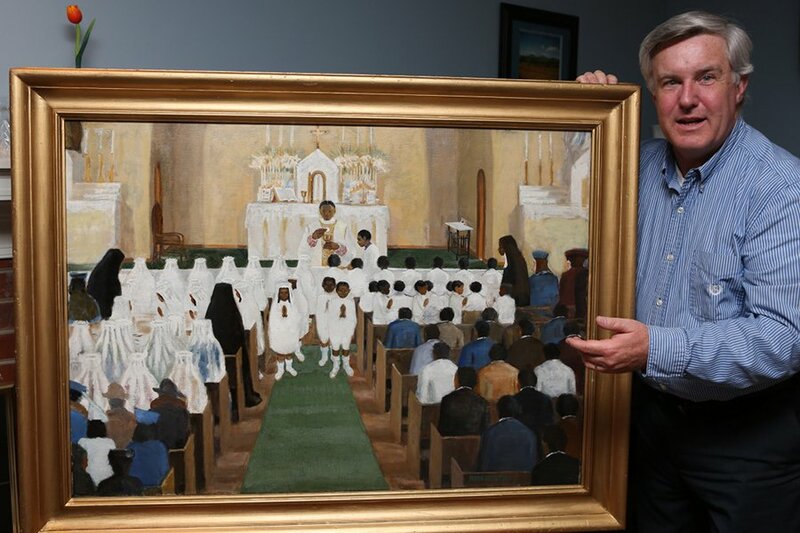 Checks payable to James River Art League should be given or mailed to our treasurer, Terry Atkinson, by Dec. 7th. Sorry, no refunds can be made after Dec. 11th if you find you cannot attend. 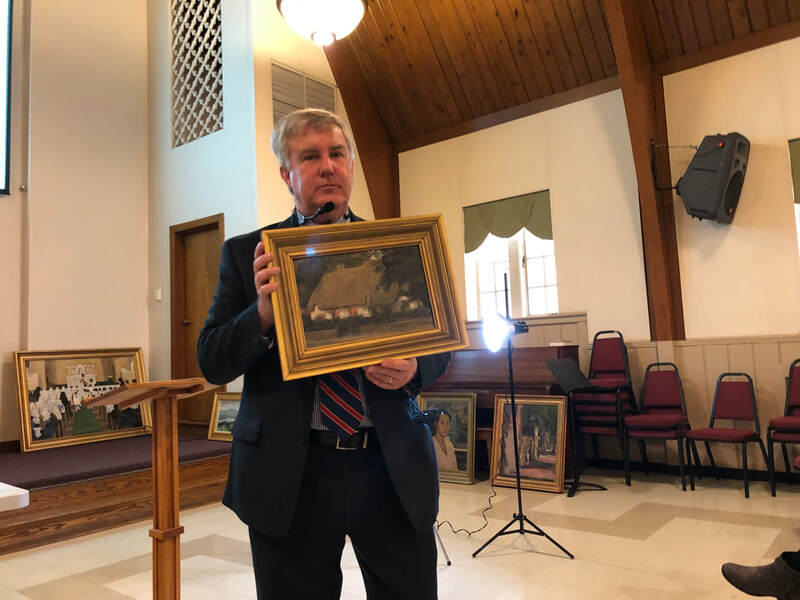 In the spirit of holiday giving, members are asked to bring a new art supply (unwrapped) to the luncheon, which will be donated to the George Wythe High School art program. They need Sharpies (color and black), Prismacolor colored pencils, art gum erasers, 2B and mechanical pencils, hand pencil sharpeners, student grade watercolor paper, all media drawing paper (heavy weight), and student watercolor sets. 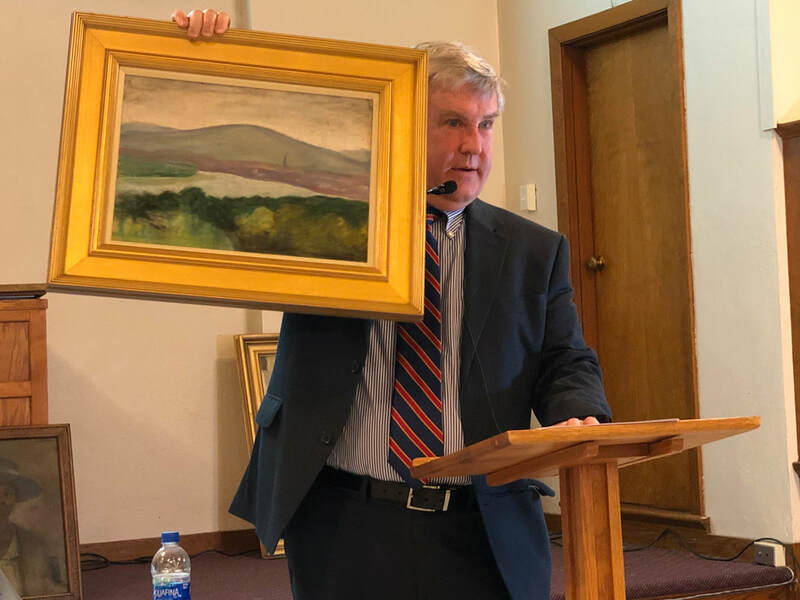 Click here to see photos from our luncheon! 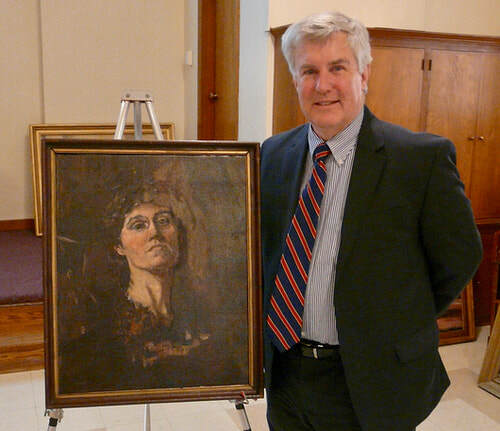 ​John Tucker, president of the Nora Houston Foundation, local actor, and retired attorney will talk about the enduring legacy of Nora Houston (1883-1942), a pioneering artist, art educator and activist in Richmond. The Library of Virginia selected Houston as one of its 2017 Virginia Women in History honorees. You can find out more about the Nora Houston Foundation at their website at norahouston.org. 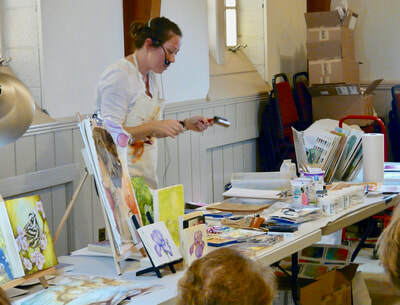 JRAL member artists will demo and share tips and knowledge for five mediums - oil, acrylic, colored pencil, watercolor and pastel, as members rotate in small groups to allow more participation and hands-on interaction. 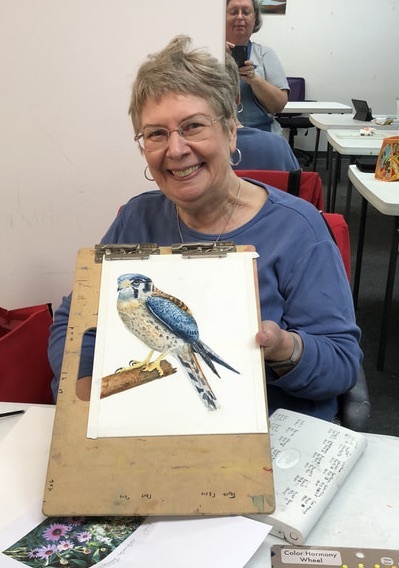 ​Members presenting are Lois Shipley & Sally Booth (oil), Linda Wolitz (pastel), Elizabeth Hood (graphite), Tami Topalu (Watercolor) and Rosemary McKnight (colored pencil). 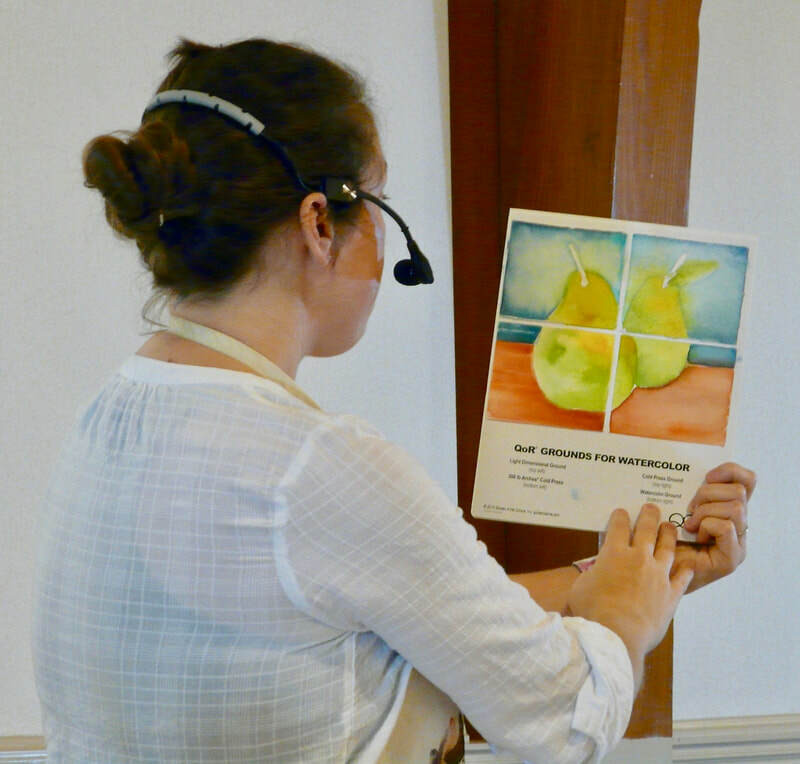 Celeste Johnston, local artist, teacher and member of Central Virginia Botanical Artists will discuss the history, traditions and procedures of botanical art and illustration. The audience will have an opportunity to make a small botanical drawing of a leaf. Celeste has extensive training in botanical art, including master classes in Scotland and Italy, and teaches at Lewis Ginter Botanical Garden and the VMFA. You can find out more about the Central Virginia Botanical Artists at their website at centralvirginiabotanicalartists.blogspot.com and more about Celeste in an interesting article on the Lewis Ginter website at www.lewisginter.org/botanical-illustration-and-the-slow-art-movement/​. 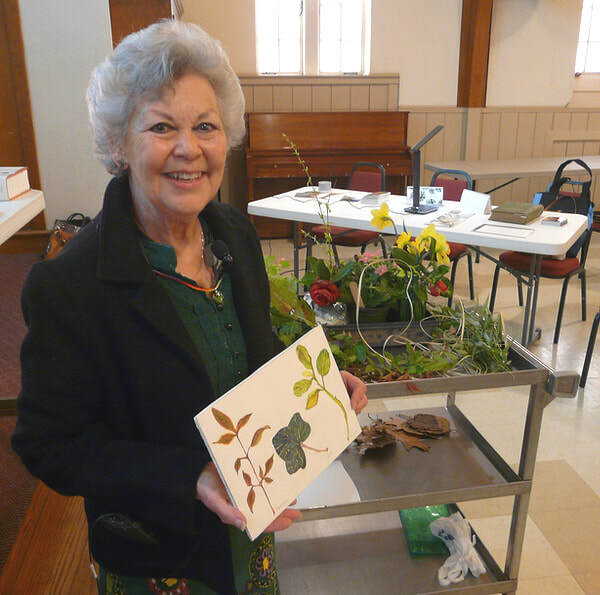 Celeste Johnston explains botanical illustration to our members. 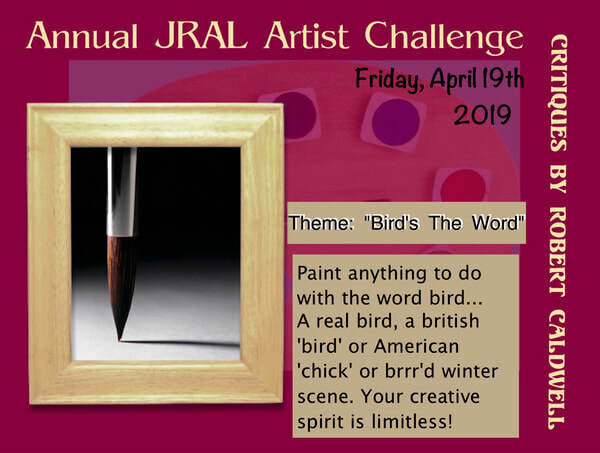 JRAL members are invited to paint anything to do with birds or the word ‘bird.’ You could paint a lovely picture of a bird, either factual or fantastical. Or paint Cardinals in ecclesiastic robes, a Toronto Blue-Jay mascot, or even a prehistoric ‘Terry-dactyl’ who resembles our JRAL Treasurer. Perhaps you’ll want to paint a British ‘Bird’ or American ‘Chick’, nicknames for young unattached females, or maybe portray a golfer putting for a birdie. Or an entire Murder of Crows or Gulp of Cormorants. You could even spin the sound of the word ‘bird’ and paint a ‘brrrr’d’ winter scene, or a ‘burred’ rough textured surface. Don’t be chicken…the possibilities are endless! The Artist Challenge presentations will be April 19; review and critiques will be provided by Robert Caldwell, a nationally recognized and published wildlife artist who lives in Richmond. Learn more about Robert at his website www.rlcaldwell.com. ​Bill Nelson, the renowned illustrator and figurative artist, will show and discuss a sample of illustrations from his long career. 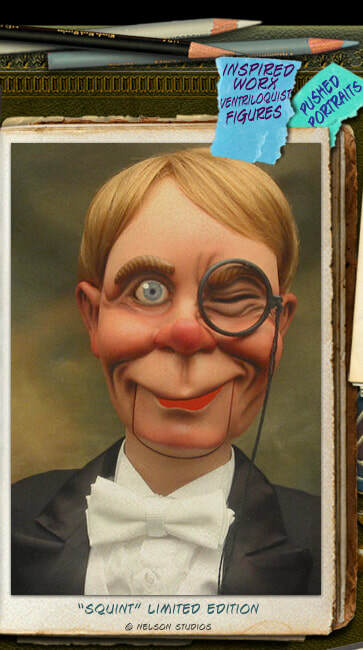 Bill's illustrations have been featured on the covers of many magazines (including The New Yorker, Time, Newsweek). 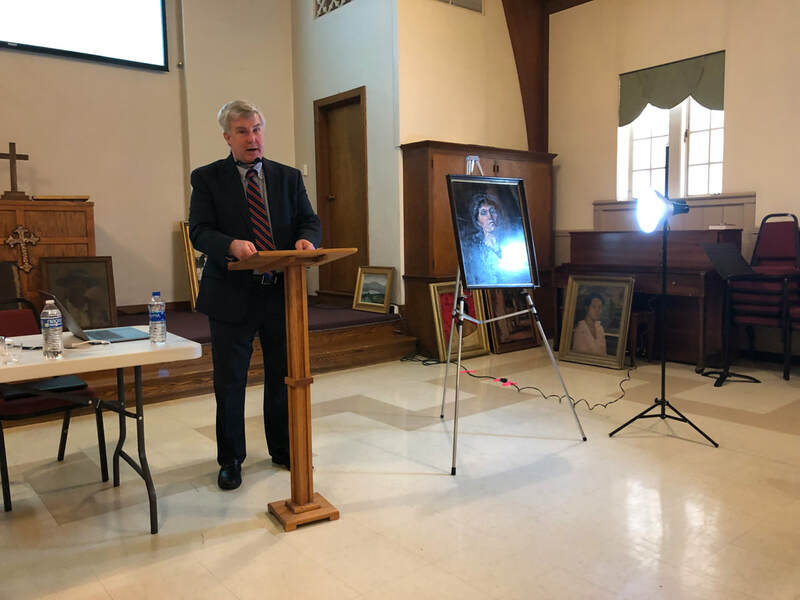 He illustrated a series of U. S. Postage stamps, has been featured in the Norman Rockwell Museum and has received over 900 awards and recognitions of various kinds. Find out more about Bill at his website at billnelsonstudios.com. We will also have our Annual Business Meeting, where we will be voting for new officers to serve in the 2019-2021 term.